A Woodbury woman faces multiple charges following a drug bust at her home on Bryant Lane. On Saturday September 24, 2011, Amy Tribble of 537 Bryant Lane was charged by Officer John Fesmire of the Woodbury Police Department with Possession of Methamphetamine, Manufacture of Methamphetamine, maintaining a dwelling for the purpose of manufacturing Methamphetamine, possession of Schedule 4 and possession of schedule 2 drugs. The arrest was a result of a joint effort between the Woodbury Police Dept. and the Cannon County Sheriff’s Department. The components and drugs were found after a search of the apartment on Bryant Lane. 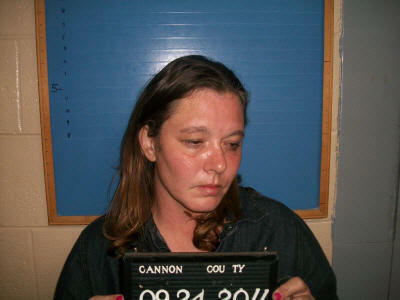 Tribble has a court date of Tuesday November 15th 2011 before the Honarable Judge Susan Melton. Her bond is set at $121,000. Those involved in the investigation were Chief Tony Burnett, Sheriff Darrell Young, Officer John Fesmire, Officer Pat Fann, Sgt. Randy Neal, and Deputy Jordan McGee.